The use of improved surgical techniques, neoadjuvant therapy, and more precise imaging modalities has transformed rectal cancer treatment, improved oncologic outcomes, reduced morbidity and mortality, and enhanced patients’ quality of life. In the current era, the majority of patients are now candidates for a sphincter-saving procedure, with less than a 10% risk of local recurrence and acceptable maintenance of sexual and bladder function postoperatively. Proctectomy has remained the cornerstone of rectal cancer treatment. 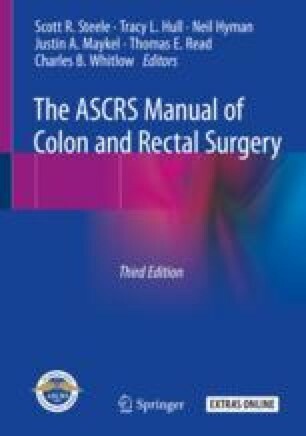 In this chapter, we will review the evolution of proctectomy technique and discuss the technical details of proctectomy and histologic assessment of a rectal cancer specimen.